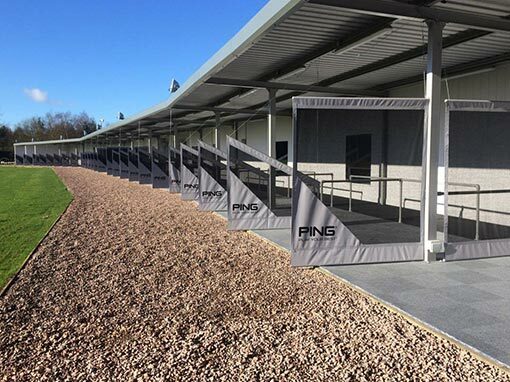 It took us around one week to complete but the end result has been very impressive at Pachesham Golf Centre. 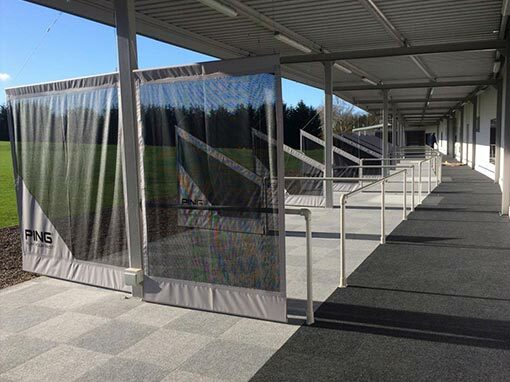 We’ve fully carpeted throughout with two tones of spike range tiles to separate the walkway from the bays. 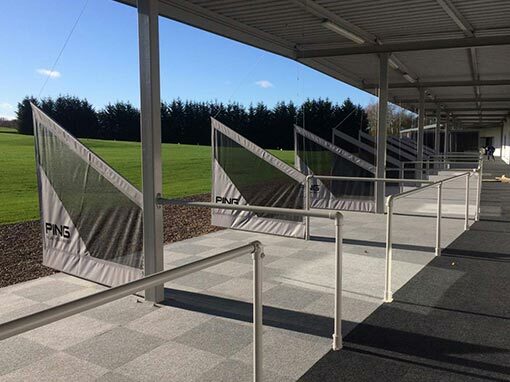 Matching the colour scheme of the carpet tiles silver and black hanging netted bay dividers sponsored by Ping were fitted throughout.